Dogs and horses are allowed back on the beach, now that the summer beach season has officially closed. With the exception of Jennings Beach, dogs must be leashed. 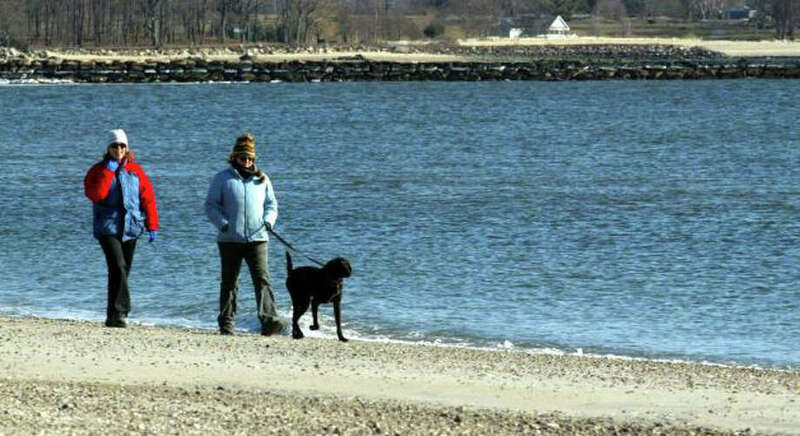 With the summer beach season officially ended, dogs and horses are permitted as of Tuesday, Oct. 1, on Fairfield's public beaches until March 31. They must, of course, be accompanied by humans, and dogs must be leashed at all times except while at Jennings Beach. Even then, dogs must be "under the control" of the person responsible for them. Dogs are prohibited from beach boardwalks, pavilions and playgrounds and owners are responsible to clean up after their animals while they are on the beach or in the parking areas. Leashed dogs are permitted in the parking area of the town marina year-round. Leashed dogs may enter the dock area to enter or leave a boat, and dogs in the dock area are the responsibility of the boat slip owner. Dogs are not allowed to roam at large in any park, play lot, beach, open space area or marina, and are not allowed in town parks or playgrounds at any time.